With Adrian Gray, Divisional Manager of Ofsted. With the representatives of Department for Education (DfE). When visiting Royal Greenwich Observatory. Green Economics a 3 Day Conference held at Worcester College, Oxford University and the Oxford Union (Courtesy of Trigo). 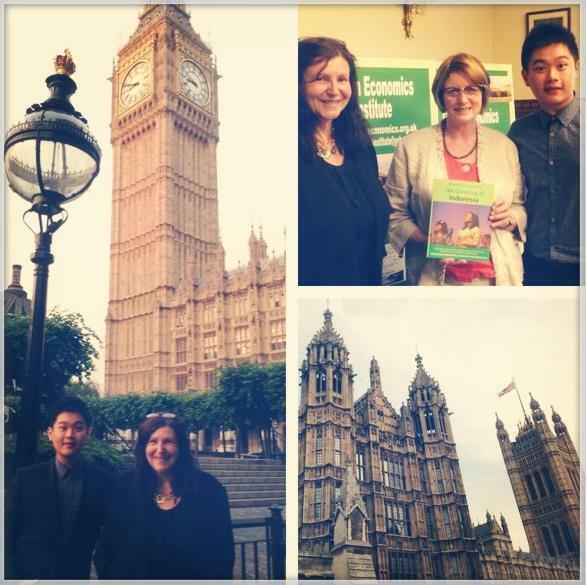 The event was held at the House of Parliament, Westminster, with Louise Ellman MP and Miriam, CEO of Green Economics Institute (GEI) (Source: Steven’s Instagram, stevmarcelino). Firman Azhari won a competition held by Kaspersky Academy. He visited the Indonesian Embassy. The above photographs courtesy of the Embassy of the Republic Indonesia in London – the United Kingdom and the Indonesian Student Society in the United Kingdom (PPIUK). Some of photographs obtained from PPIUK are courtesy of members of PPIUK with permission. All supports are greatly acknowledged. Please feel free to Contact Us for any enquiries on the photo gallery.